The Z-Tec UK Walker with bag is a lightweight aluminium walker which is foldable and has height adjustable handles. 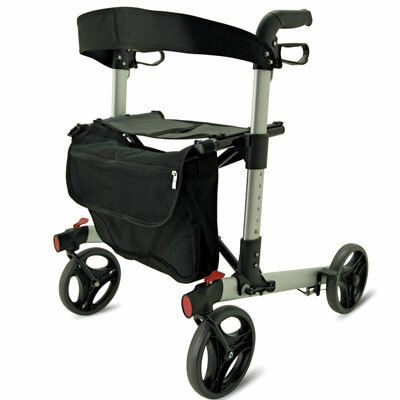 The Lightweight Aluminium UK Walker can be folded to make it more compact. The adjustable handles have a locking arthritic loop brake. Removable shoulder bag is included.